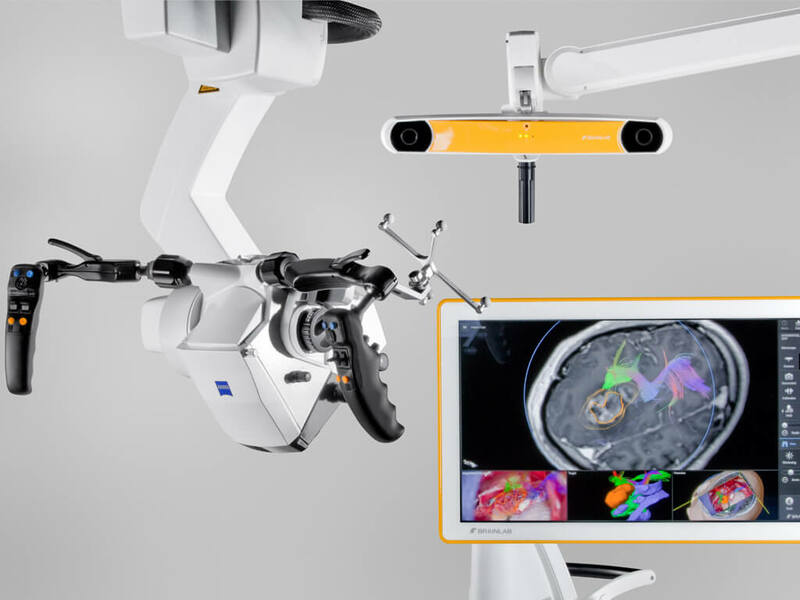 To improve critical surgeries, radiosurgery treatments and operating room efficiency, Brainlab software and hardware devices create and enhance data. Elements Multiple Brain Mets SRS brings to market technology that consistently and rapidly generates radiosurgery plans for the efficient treatment of multiple metastases. Microscope Navigation visualizes the planned surgical target and surrounding structures as semi-transparent volumes mixed with the anatomy seen, providing better spatial orientation throughout the procedure. A Look into the Future: Mixed Reality in the O.R. 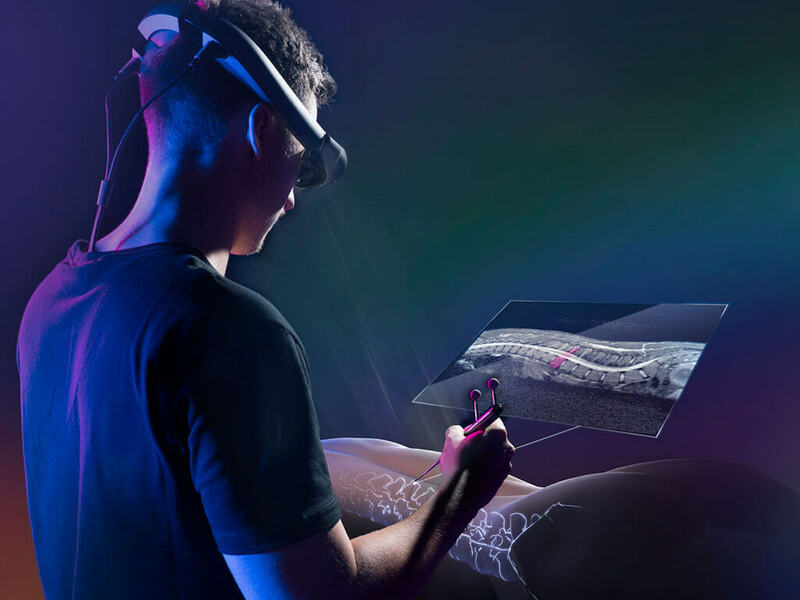 Brainlab Mixed Reality applications are developed for surgery as part of an exclusive agreement with Magic Leap. The technology aims to redefine how surgeons and other clinicians visualize and access medical imaging data. Airo is ideal for cranial, spine and trauma procedures, designed to function inside existing O.R. Suites. 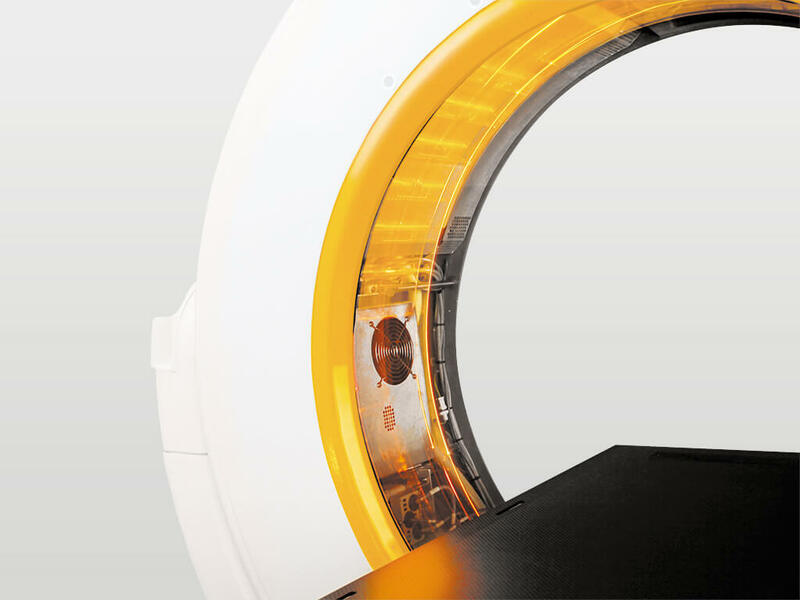 High CT image quality increases surgeon confidence and supports advanced minimally invasive surgery. Brainlab technology is in use in over 5,000 hospitals worldwide. Brainlab innovations in surgery lend efficiency and ease to even the most complicated procedures, including neurosurgery. Brainlab offers platforms and software to enable access to improved, more efficient, less invasive and less expensive treatments for patients undergoing cranial, spinal, trauma, orthopedic, ENT and CMF surgery. Brainlab has been a key player in the field of precision radiotherapy and stereotactic radiosurgery (SRS) for over two decades. Lean, intelligent and indication-specific Brainlab Elements allow for optimal customization around clinical needs. With Brainlab Digital O.R. we are bringing simplicity into the operation room. With this solution as many process steps as possible can be handled in one system, thus interfaces are minimized. Benefit from the advantages the Digital O.R. is offering. Brainlab has been innovating for over a quarter century in the areas of surgery and radiation therapy, developing hardware and software technology to help healthcare providers, physicians and their patients fight cancer and other conditions of the brain and body. Dedicated to improving access to and consistency of medical treatment, Brainlab is a global company committed to improving patient outcomes. 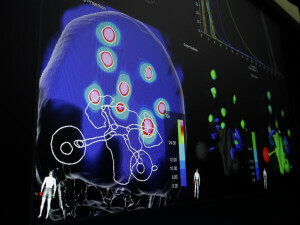 Brainlab offers technology in the fields of radiotherapy and radiosurgery; image-guided craniomaxillofacial (CMF), ENT, orthopedic, spine, trauma, and neurosurgery; intraoperative imaging; integrated operating room solutions; treatment planning as well as medical image sharing and enhancement. Follow Brainlab on Twitter, Facebook, LinkedIn and YouTube for company updates and the latest in Brainlab innovation. With 18 offices around the globe, Brainlab is always nearby. Click below to find an office near you. Visit our portal for access to our Digital User Guides.